Bounce rate is a very important metric that we like to keep an eye on to see if our content is what the visitor is looking for and if it’s keeping them engaged or not. But did you know that the bounce rate score you see in Google Analytics can often be horribly skewed and misleading? Seems straight forward enough right? Now imagine this scenario, a visitor comes to your site and leaves 5 seconds later without clicking anything else after not finding what they were looking for. A second visitor then comes to the same page, loves the content there and spends the next 10 minutes reading and afterwards also leaves the site. Obviously these two visitors did not have the same interaction with your site and yet they are both counted as a bounce! The problem with Google Analytics is that unless there is some other form of interaction by the user on your site (such as clicking an internal link to another page) then with it’s default setup it’s very difficult for the tracking code to tell the difference (in terms of bounce rate anyway) between the above two cases. There are some other engagement metrics that Google uses to try and estimate the time spent on the page as explained very well by Justin Cutroni here but there are ways of filtering this yourself too. Let’s say you have a blog or content site, you may have calls to action for selling products or downloading pdfs and so on and all these can be counted and tracked as engagements. However, even a visitor staying on your site for a reasonable length of time and reading your content should be counted as an engagement and that needs to be tracked. A good way of getting a rough idea of what a reasonable engagement time is by going into your Google Analytics dashboard and then going to Audience > Behaviour > Engagement and then looking at the session duration vs sessions and page-views, if a large number of your sessions and page-views are for say the 61-180 seconds session duration then this a firm indicator of a reasonable amount of time for a visitor who is engaged with your content. UA-XXXXXXX – this is your Google Analytics tracking code, it should already be present so you don’t need to change that. XXXXX – this is the same number as above but in milliseconds, so for 3 minutes that is 180 seconds so 1800 milliseconds. the less number of visitors will be counted as a bounce even if they only visit a single page and your overall bounce rate should drop. Do note that it will most likely take at least 48 hrs before you see any changes to your bounce rate. David is lead digital marketer at Performancing, he also blogs at Bloggingtips.com and Bloggingpro.com. Thanks a lot for sharing. Most of my posts are read by facebook followers and twitters too, so they read one page (which is the single page post of the day) and then leave. Now I understand that I have a high bounce rate, but this does not reflect the reality of my followers. They read each article every day and therefore I need to change some of my website features to get a higher rate. Whether we know how many readers are bouncing or not, the signs are obvious. Low traffic, poor engagement, sluggish list growth. These are all the symptoms of a bouncy blog. Life in the online world is fast. People don’t have the time or the patience to wait around for a website that takes forever to load and will simply bounce away and find another speedier website to visit. Bounce rate is one of the most important yet misunderstood metrics in Google Analytics. Traffic to blog posts tends to have a higher bounce rate than traffic to your homepage or other core pages on the site. Eventually, thanks for revealing a light on this topic. yes, tracking real bounce rate of our website is really important. 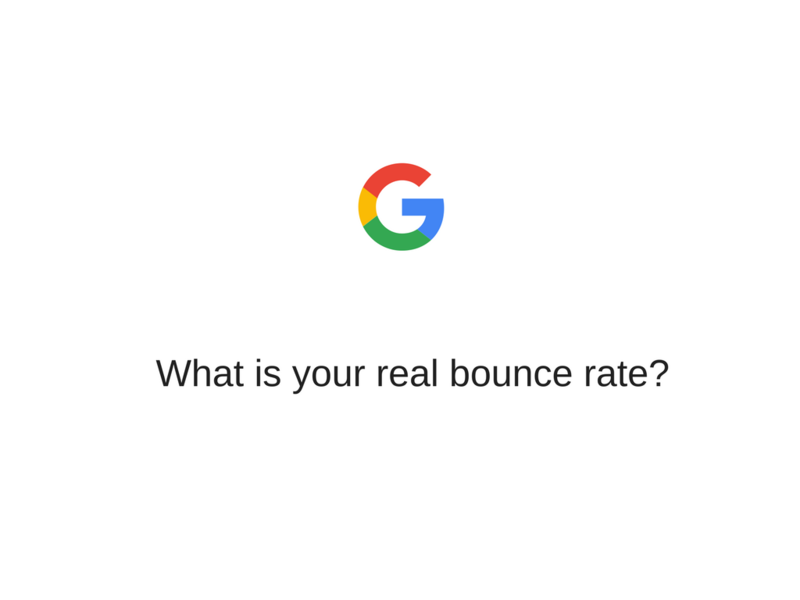 By checking the bounce rate on Google Analytic. We get analysis of our website. If our bounce rate is very low. That’s mean your website and website content are really attractive for the user. By making Changes in your website design and Content you can decrease the bounce rate. Very nice content and description. Most people do not understand that Google Analytics is often skewed unless you create events for Google to track. People also do not understand that their bounce rate is oftentimes a reflection of their content. A suggestion I always make with clients is to adjust their content and then move forward with their tracking pixels. This was a good description of a simple way to help reduce your bounce rate. Thank you for the article!